Inside: Learn how to make these fun and easy animal crafts for kids! They’re simple and cover farm animals, jungle animals. forest animals and more! Do your kids love animals and crafting? 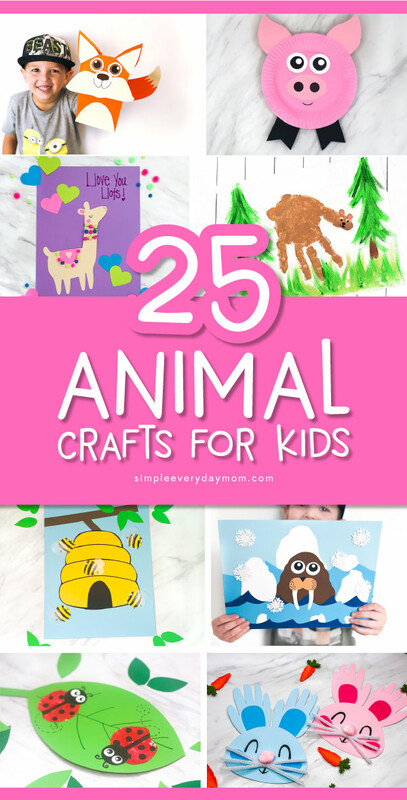 If so, they’ll be delighted to make any one of these fun and simple animal paper crafts for kids. We’ve gathered all of our best ideas in one spot so you can easily find exactly what you’re looking for. These crafts vary in age range and will suit kids from toddlers to preschool, kindergarten and early elementary aged children. Don’t forget to sign up for our weekly email so you get all the latest crafts, activities and printables for your kids or students! As we make more animal crafts, we’ll add them to this page so be sure to check back frequently for more new crafts for kids. Check out all our best ideas below to find tons of printable animal craft projects that include fun themes kids will love! 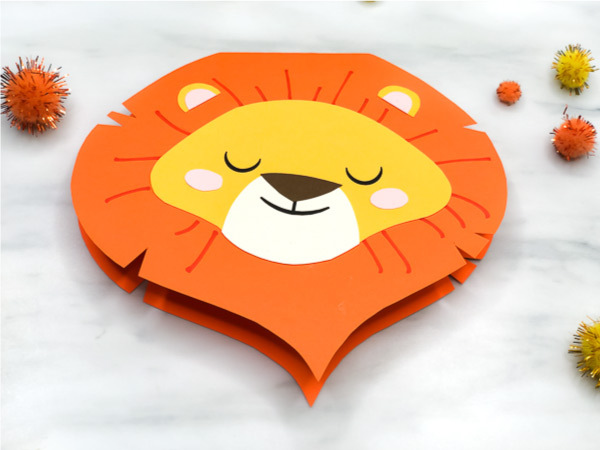 This Easy Lion Card Craft is so cute and great for Father’s Day. We love puns around here so inside we wrote, “I’m not lion, you’re the best Dad ever.” You can also give this homemade card to Grandpa, Uncles or anyone else you’d like! 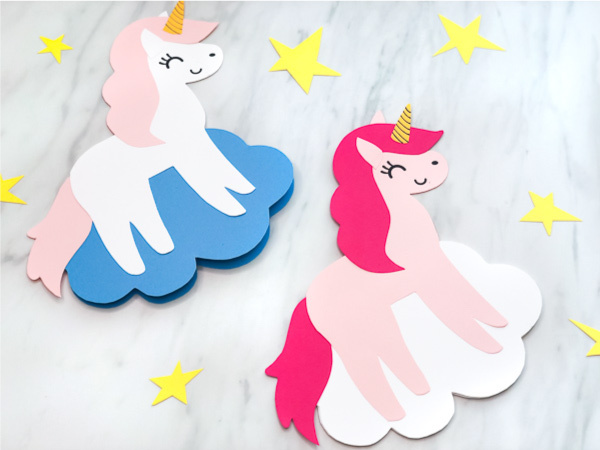 Little girls will have a blast making this DIY Unicorn Card Craft. The cloud opens up to reveal a place where you can write a magical note to anyone you wish. 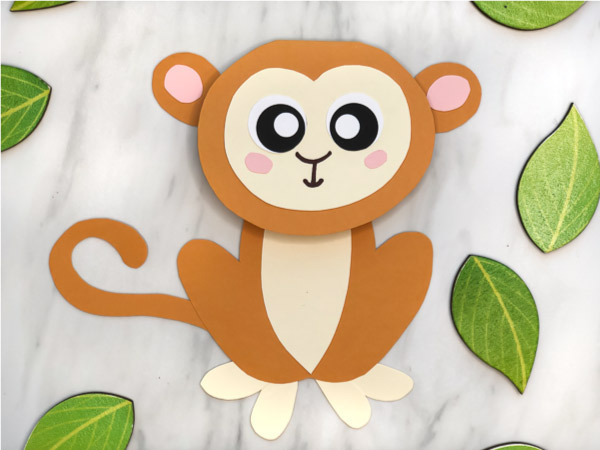 Who can resist this Cute Monkey Craft?! It comes with a free printable template so you and your kiddos can make one without troubles. Sign it from “your little monkey” for extra dose of cuteness. 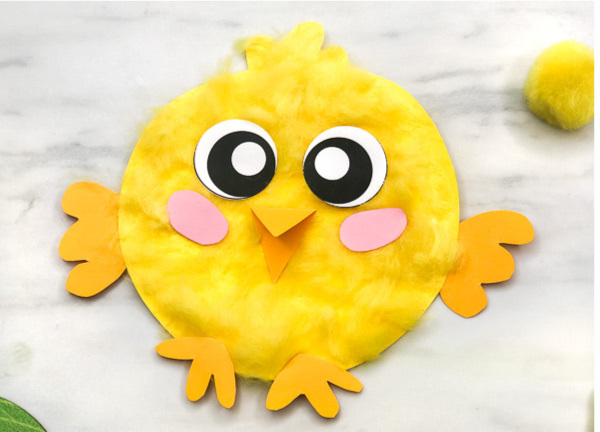 Your kids will enjoy making this fluffy chick craft for spring time! It’s simple, requires only a few standard supplies and keeps the kids busy! Parents and grandparents will flip over this handprint bunny craft. They’re a sweet memento that will preserve those little hands for a lifetime! 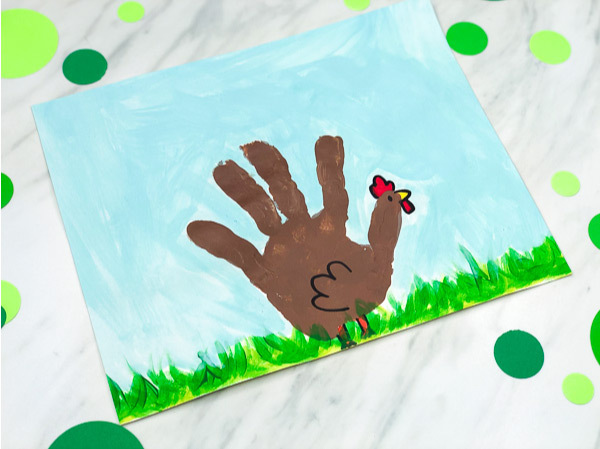 Bring out the paint and creativity when you make this simple handprint chicken craft. 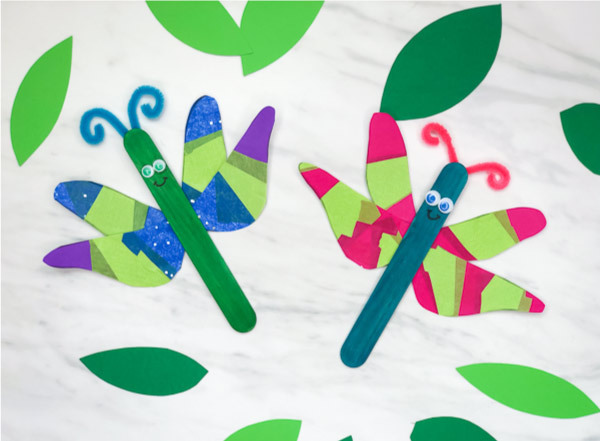 These popsicle stick dragonflies will put a smile on your kids face and can act as a homemade toy too! 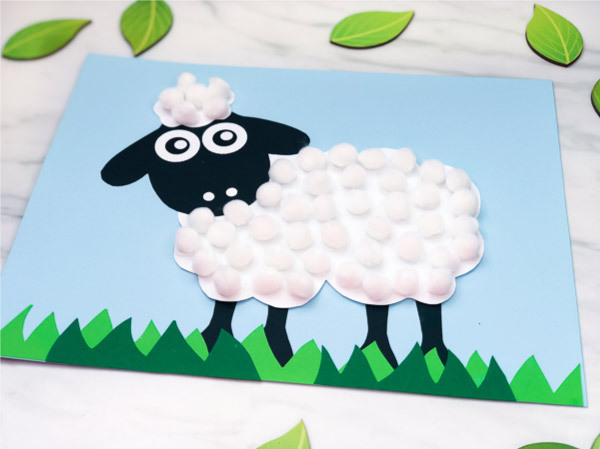 What says spring time more than a cute pom pom sheep craft like this one? This simple craft comes with a printable template and helps kids work on fine motor skills. 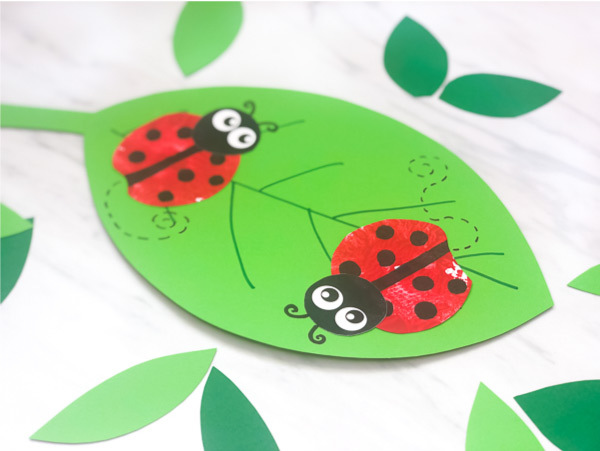 Turn an apple into a artist’s tool with this apple stamp ladybug craft for kids. 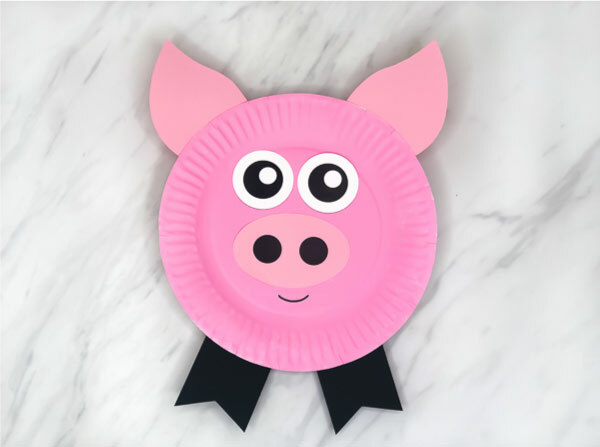 This paper plate pig craft is one of the easiest crafts around! It’s perfect for toddlers and preschoolers who are just getting into crafting. Recycle some milk jugs into tiny bee wings with this fun bee craft for kids, complete with free printable bee hive. 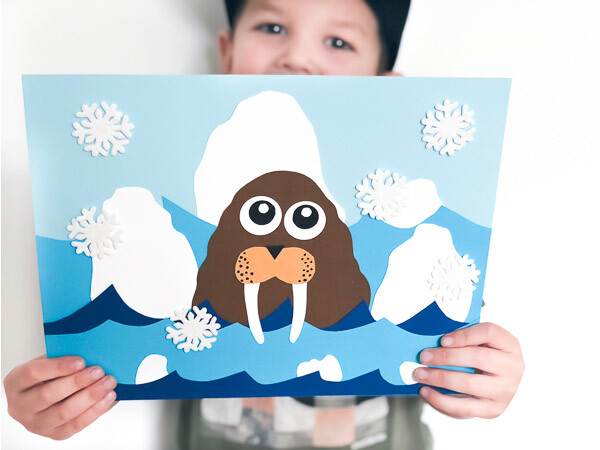 Teach kids about arctic animals then make this fun 3D arctic animal walrus craft. It’s a cool craft for winter! 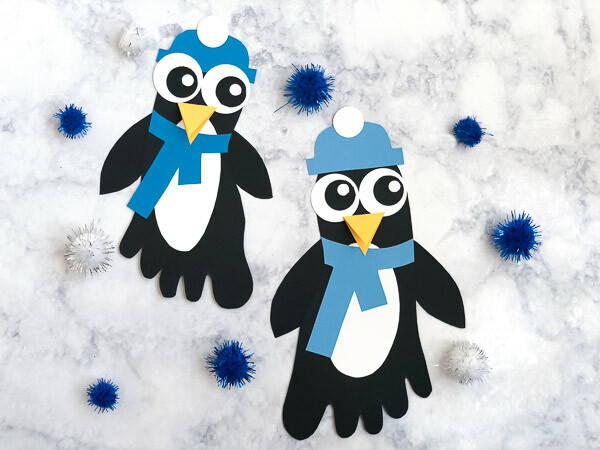 This footprint penguin craft with movable beak is so adorable you’ll want to make one every year with the kids! 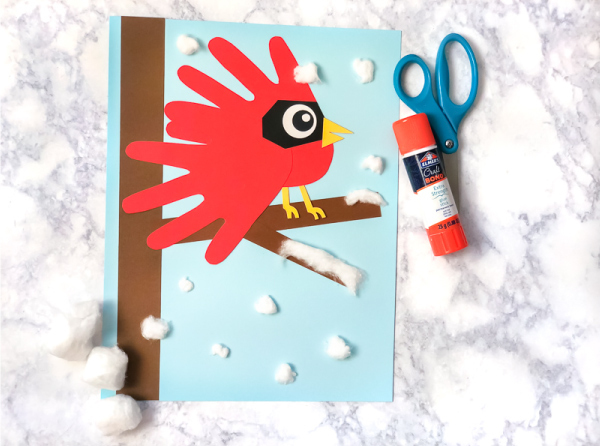 Turn two of your child’s handprints into a simple winter craft when your children make this wintery handprint cardinal craft. This handprint Reindeer craft is one of the most popular crafts on the blog!! Download the free template and make your own adorable Rudolph’s at home! 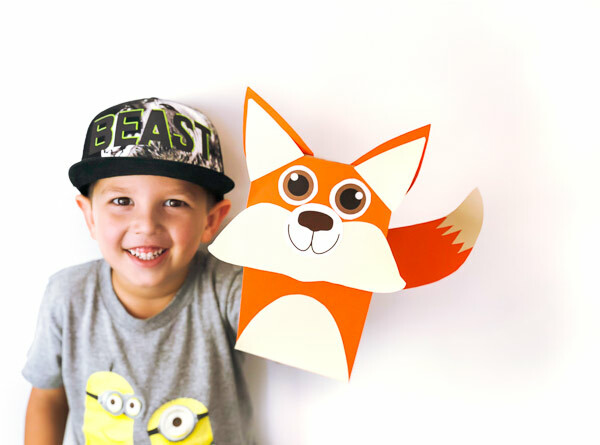 Transform a plain brown paper bag into a fun fox paper bag puppet craft the kids will love with this simple template! 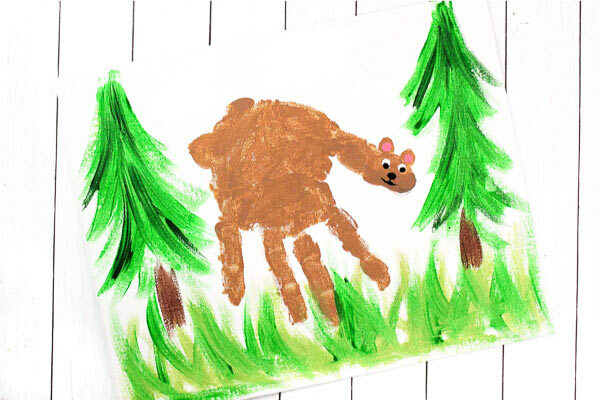 Show your kids how easy it is to be an artist with this handprint bear craft. It’s a fun idea for summer camps! How awesome is this recycled cardboard dinosaur craft? With a little time investment, kids can turn trash into a fun new toy they’ll love to play with. 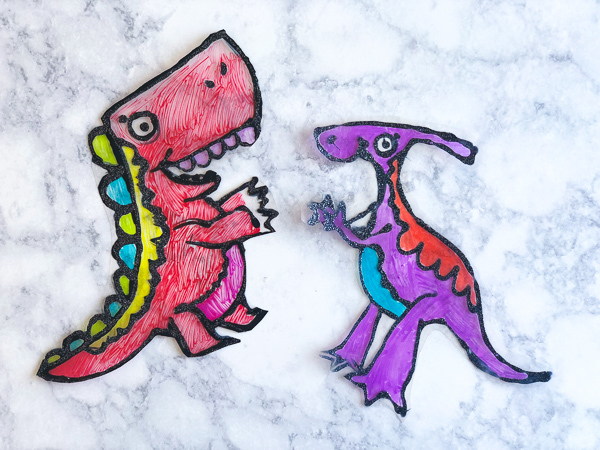 Upcycle some old laminating sheets into these cool DIY dinosaur suncatchers with this free template! You can never have too many dinosaur crafts, right? 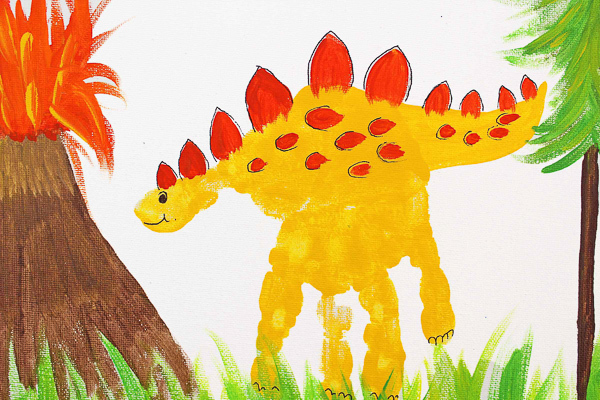 Work on fine motor skills and creativity when your kids make this handprint dinosaur art activity. 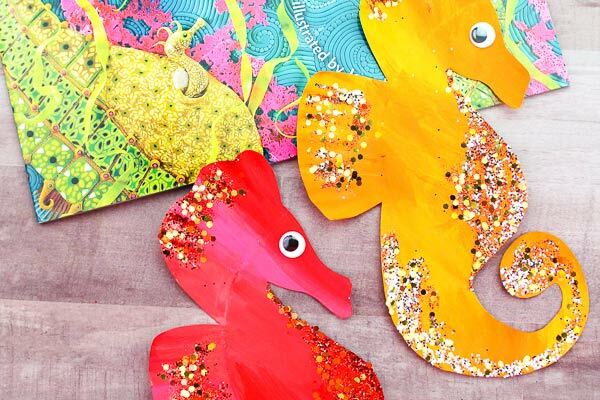 This shimmering paper plate sea horse craft is a simple and easy kids craft to do for summer or whenever your kids are learning about ocean animals! Llama lovers unite and make this super simple llama Valentine craft that can be used any time of year! 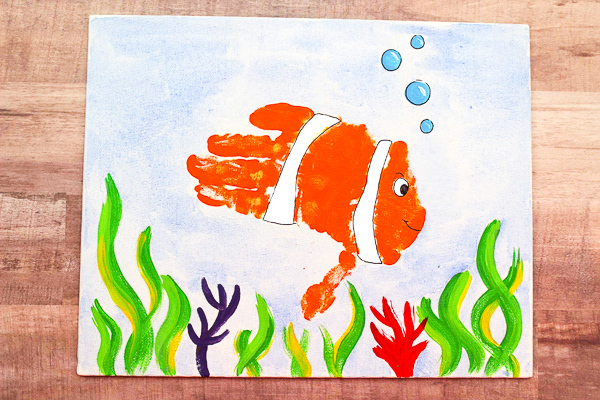 Let your children make their own Nemo fish from their handprints with this handprint fish craft for kids. 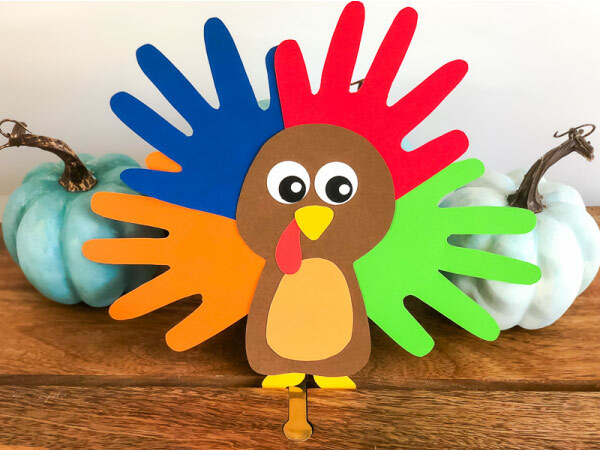 This handprint turkey craft is the ideal fall activity for kids in preschool, prek and kindergarten! We hope you found at least a few fun project ideas to work on with your kids! There’s no denying how much they’ll love creating easy paper crafts. Didn’t see exactly what you’re looking for? Leave a comment down below with your ideas and we’ll see if we can accommodate! Also follow us on Facebook for even more fun ideas for kids.